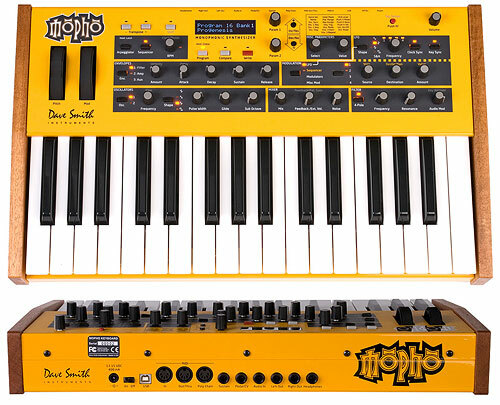 Dave Smith Instruments Mono Evolver Keyboard - Dave Smith Instruments Mono Evolver Keyboard, 37 Keys, is a monophonic (one voice) synthesizer. 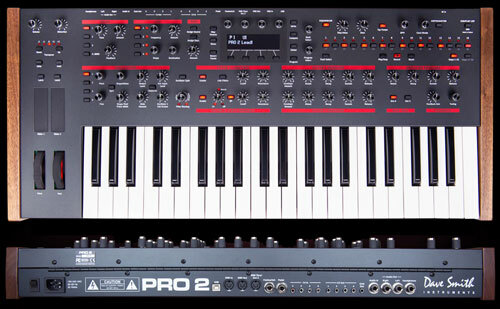 Dave Smith Instruments Mono Evolver Keyboard, 37 Keys, is a monophonic (one voice) synthesizer, Analog Oscillator waveshape are Sawtooth, Triangle, Saw-Triangle, and Pulse (with voltage-controlled analog Pulse-Width modulation) Digital Oscillators select from 96 wavetables from the Prophet-VS (128 x 12 bits), and 32 user-loadable (via MIDI) wavetables (128 x 16 bits), the Digital Oscillators get trashy as the frequency gets higher, as with the original VS. 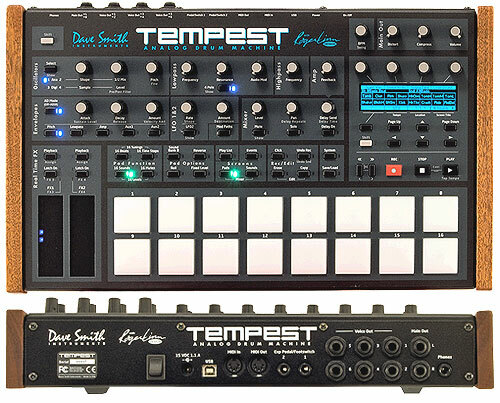 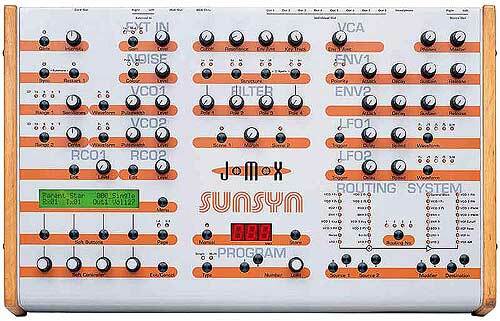 This monophonic, performance-oriented synth is the latest addition to the Evolver family. 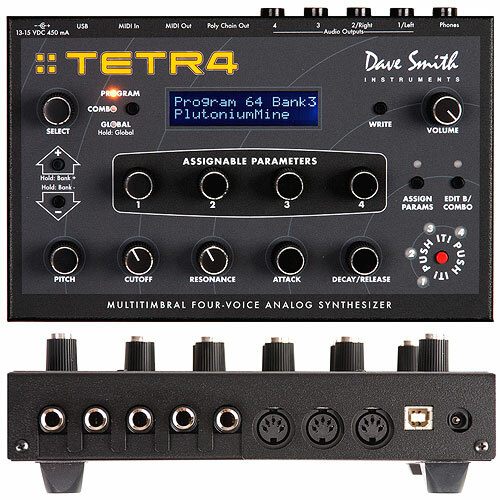 The voice architecture is identical to its siblings, but it sports a 3-octave keyboard, pitch and mod wheels, and enough knobs and switches to put a smile on the face of even the most jaded tweaker. 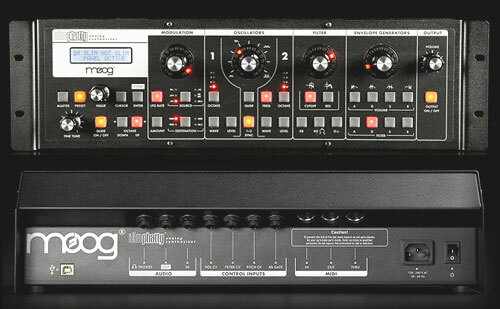 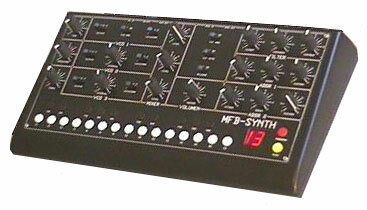 Monstrous four oscillator voice architecture: two analog and two digital. 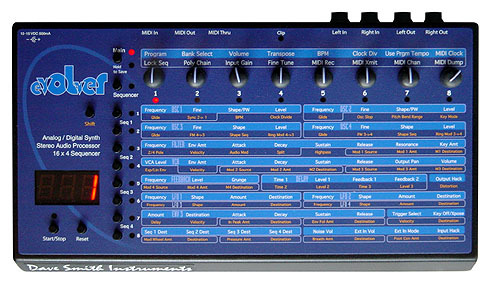 Highly accessible sound control for easy, intuitive operation: 58 knobs and 33 switches. 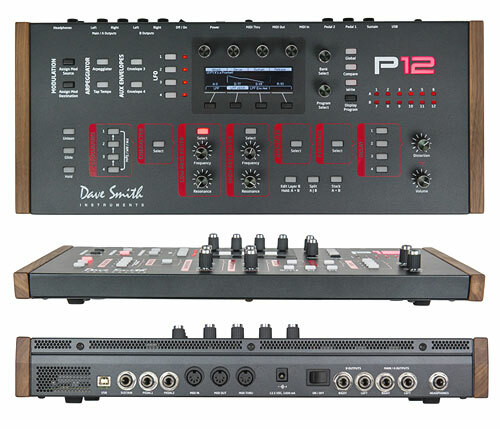 16 x 4 step sequencer really brings the Evolver to life with evolving �pseudo-polyphonic� sounds � you won�t believe it's mono! 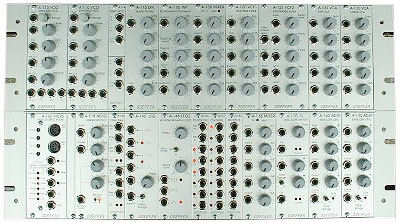 Multiple Evolvers can be daisy-chained for increased polyphony.